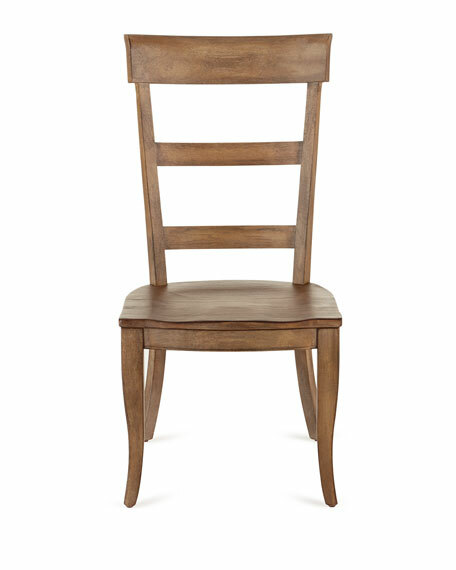 Handcrafted side chairs with ladderback styling and scooped wood seats. 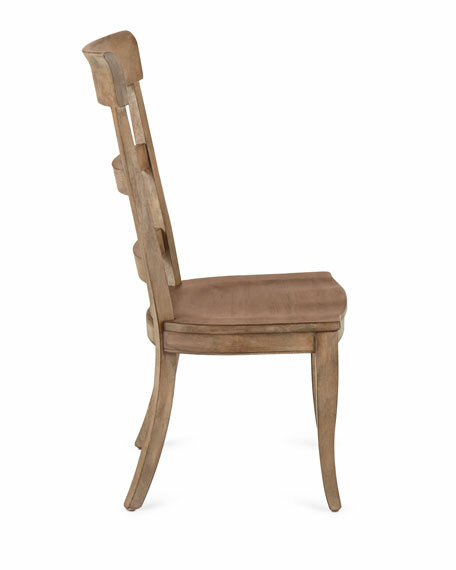 Made of hardwood solids and hickory veneers. 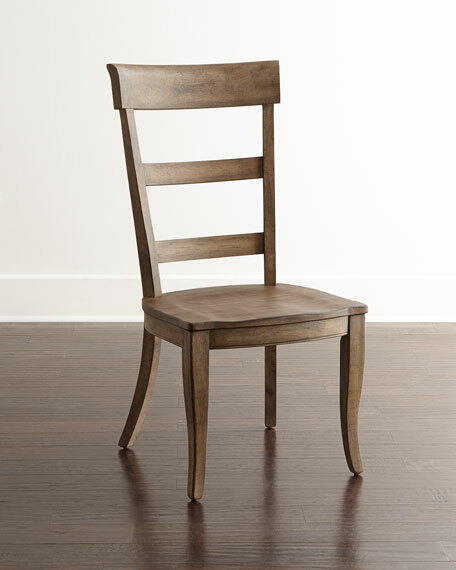 Natural wood-tone finish with physical distressing. Sold in pairs; each, 20.75"W x 24.5"D x 42"T.